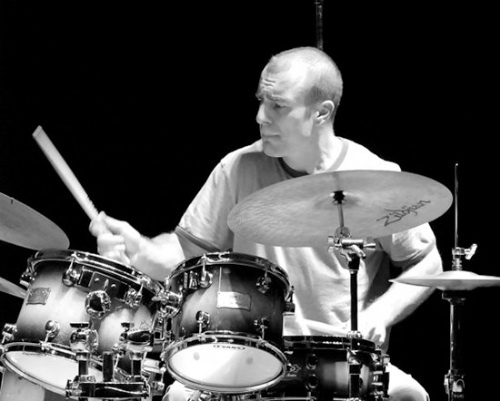 Called a “world class drummer” and “a true innovator” by Modern Drummer magazine, Marko Djordjevic has played on more than 40 albums and has thousands of live performances to his credit. His project SVETI which has been a creative outlet as a composer for more than ten years, brings music inspired by the rich musical tradition of his Balkan roots, but with a nod of he “West” influenced by sounds ranging from Coltrane and Weather Report to Zappa and the Police. Djordjevic graduated with honors from Berklee College of Music, where he was accepted on a scholarship at the tender age of 16. One of the finest musicians of our era. Some of the artists Djordjevic has performed and recorded with include: Matt Garrison, Wayne Krantz, Jonah Smith, Clarence Spady, Lucky Peterson, Jacques Schwartz-Bart, Garry Willis, Hal Crook, Bill Frisell, Lionel Loueke, Aaron Goldberg, The Itals, Chris McDermott, and Eric Lewis. Marko Djordjevic & Sveti at Terraza 7. Friday December 25th, 2015 at 9:30 pm. No Replies to "MARKO DJORDJEVIC & SVETI"